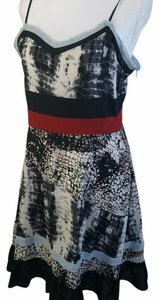 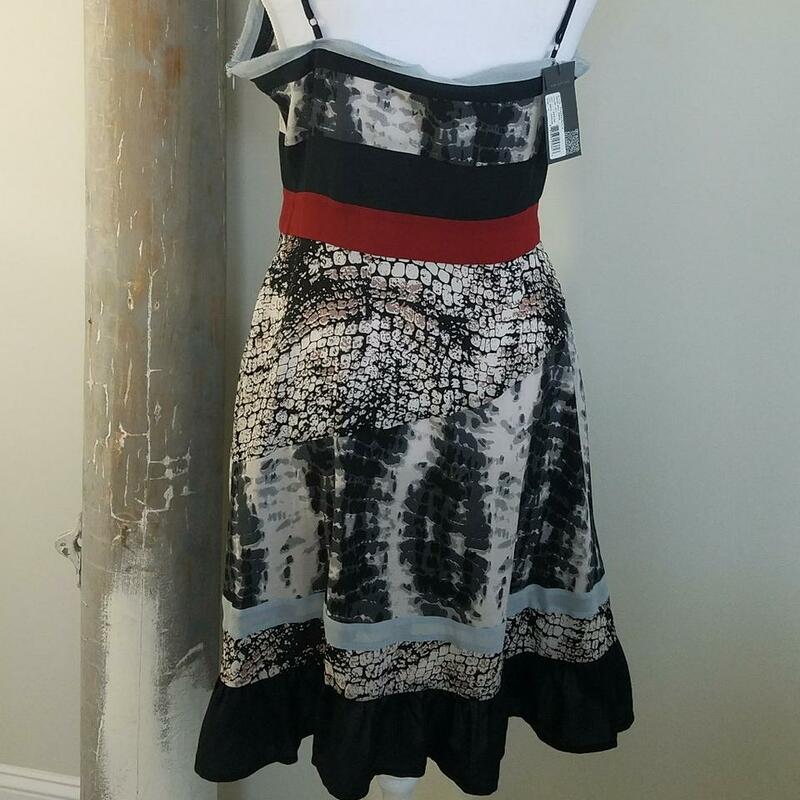 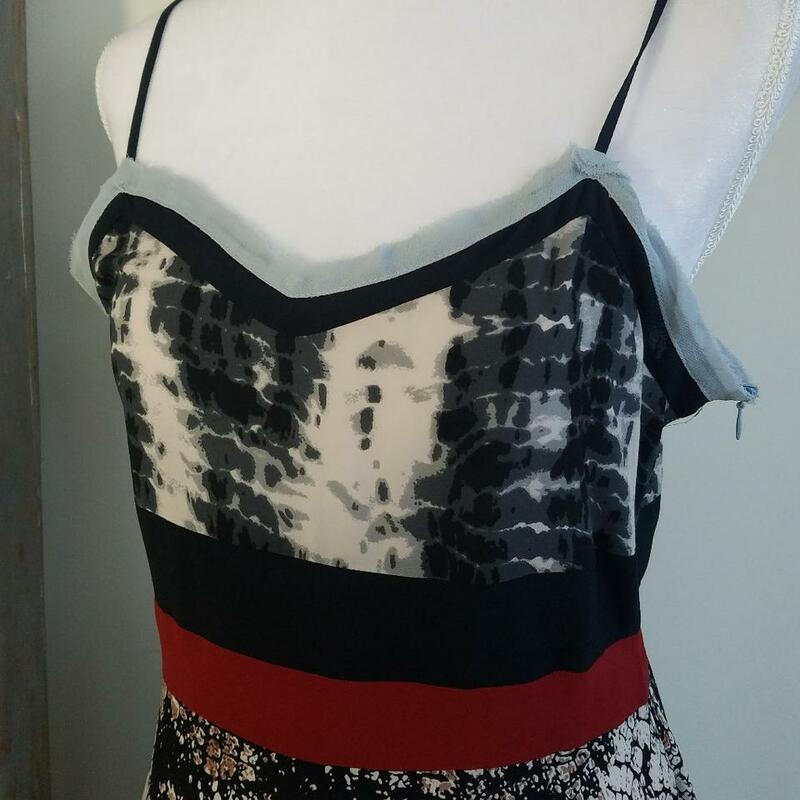 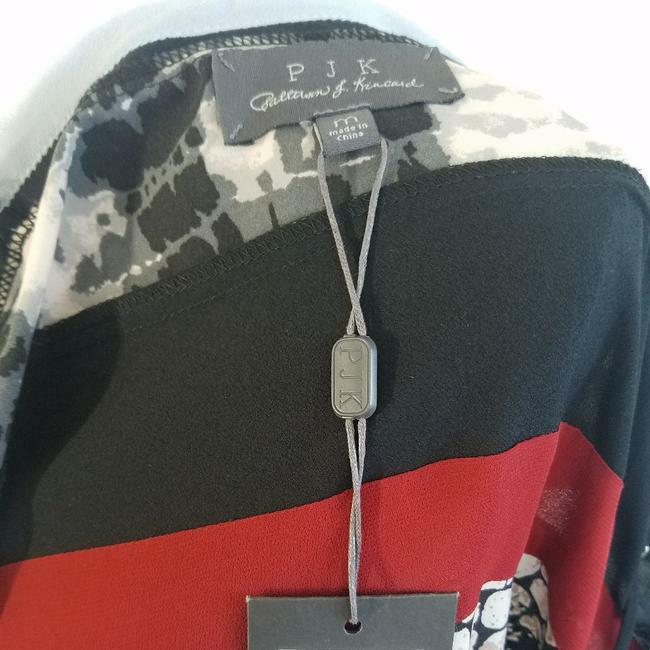 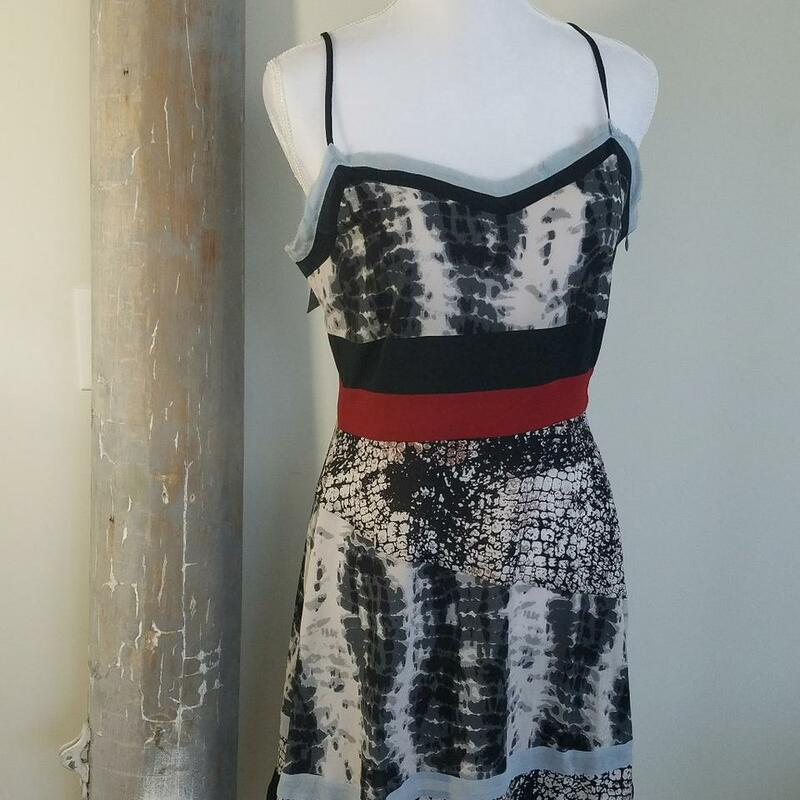 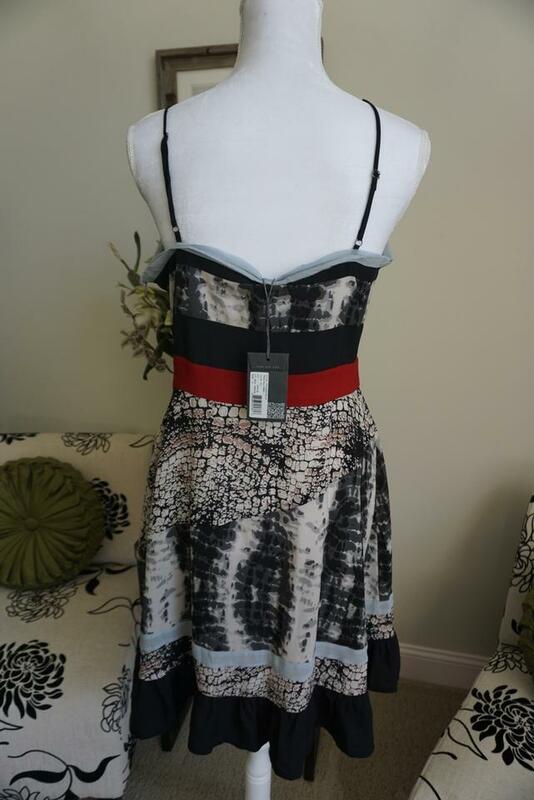 Adorable Patterson J Kincaid animal print dress with red banded waist and A line cut. 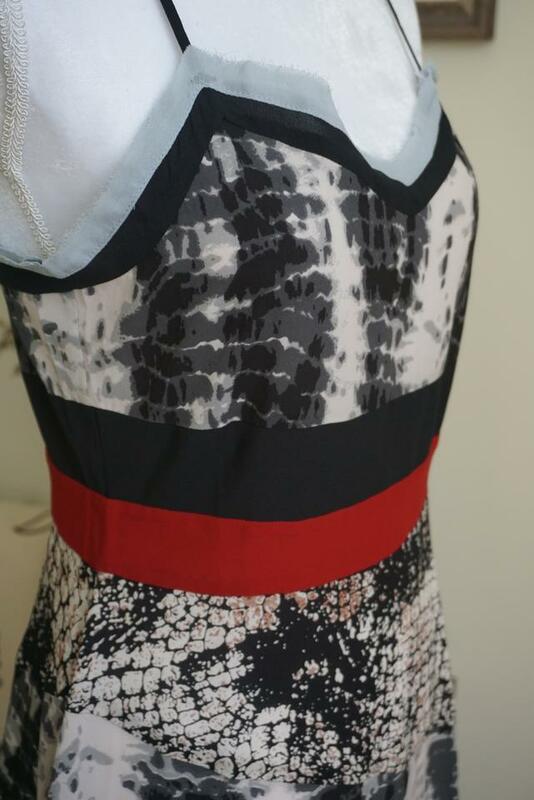 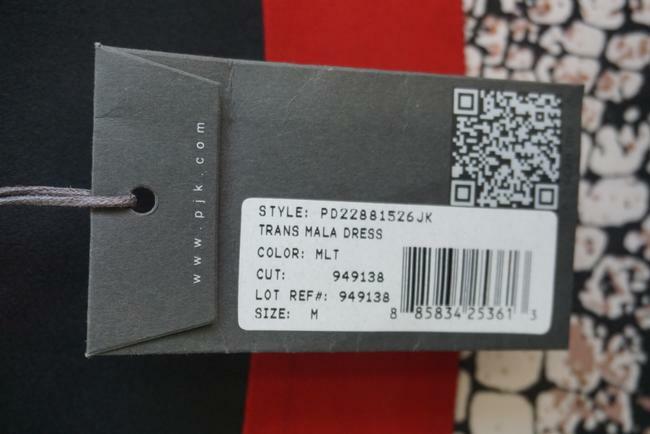 Flutter detailed hemline. 100% Silk. Beautiful!